some or most of the Eve of Destruction nights to this class. Drivers, check out the rules below. Fans, get ready for an exciting show! – Drivers will draw for spots. -The small inside track will be used. -Minimum of 8 cars to start. 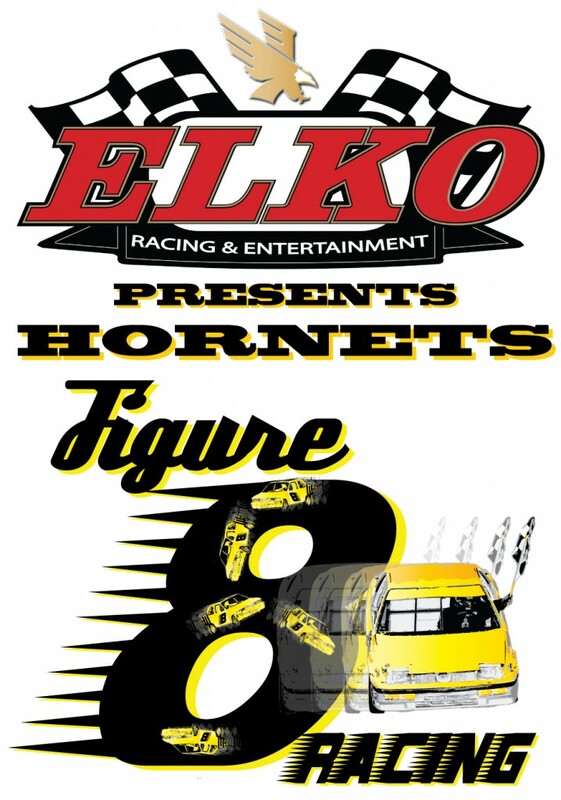 -NASCAR licenses will be required for Hornets that are competing in the Hornet class for NASCAR points. If the driver is only competing in the Fig 8 class – than no NASCAR license is required. It might be beneficial though because of the insurance the driver would get from NASCAR. -The rules for Figure 8’s will follow the Hornet (formerly Mini-Stocks) specifications but INCLUDE a mandatory passenger side door plate. -The doorplate must be a minimum of 3/16” thick X 8” tall, extend at least 4” past each door seam, and be mounted so the bottom is 16” from the ground. -The Hornets race tires will be allowed. D.O.T. street tires can be run so long as they are an “H” or under speed rating. NO V, Z,W, or Y speed rating tires. More information and dates to be announced soon!